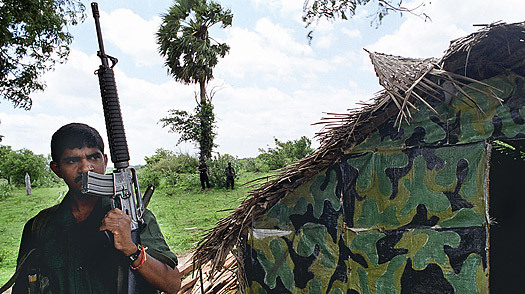 The humanitarian situation in the Tamil-speaking area in the North and East, more than two years after the so called ‘end’ of the war, between the Government of Sri Lanka (GoSL) and the Tamil people, is the most serious the Tamils have faced in their 2,500 years of recorded history. In the six decades that I have campaigned for the rights of the Tamils to live with equality, dignity, safety, and now to live at all, I cannot think of any period in which they have been in such a dreadful situation. The Tamil areas are under the heel of one of the most ruthless and irresponsible Armed Forces anywhere in the world, and one the most brutal, racist, and oppressive regimes ever to run Sri Lanka. It is a regime which has no accountability, in Sri Lanka or abroad, and can do whatever it wants, to whoever it wants, anywhere in the country, not just in the Tamil areas. Dr Winston Panchacharam (Nanuet, New York) in his incomparable book Genocide in Sri Lanka which has just been published sets out some of this. In his opening letter of appeal to “Global Leaders for the Protection of the Vulnerable and those Oppressed by Genocidal Acts” he refers to the “Dying Race of Tamils in Sri Lanka”. This is not alarmist language. Every recent publication (cited below) strongly indicates that the Tamils are indeed a dying race facing serious violations of human rights which, unless checked, will result in their demise. An internationally credible group appointed by the UN Secretary General (which I will refer to), uses the term “extermination” (of the Tamils) and goes on to justify the use of this term which, as far as I am aware, has never been used before. What is alarming is that a regime guilty of some of the most serious war-crimes and crimes against humanity, is getting away with it. ‘Extermination’ or ‘Genocide’ is an emergency and calls for urgent action which is not forthcoming. What is alarming is that a regime guilty of some of the most serious war-crimes and crimes against humanity, is getting away with it. The mass slaughter of some 40,000 (perhaps many more) unarmed Tamil civilians, with another 160,000 unaccounted for, was carried out in just five months (January-May 2009), in a mass murder with no witnesses. This has no parallel in recent times. This is now being followed by a ‘slow extermination’ of the Tamils by the denial of food and medical care, loss of their property, the blocking of their survival activities (agriculture and fishing), and the denial of unrestricted access to international humanitarian organisations and groups. The Tamil areas are a vast ‘slow killing field’, not as dramatic as the mass murder documented in the UK Channel 4 News video, ”Sri Lanka’s Killing Fields”, but a slow ‘extermination camp’ which covers the entire North and East. This has been kept out of sight by the denial of free and unrestricted access to international observers by the imposition of a strict censorship. The ‘Sri Lankan’ Armed Forces (99% Sinhalese) who run the area, do what they want with the ‘victims of war’ – Tamil people, citizens of the country. It astounds me, a Sinhalese, that at this most critical period faced by the Tamil people in the North and East, the only people who can save them, the million-strong expatriate Sri Lankan Tamils, living and working in some of the most powerful nations on earth, have ‘gone quiet’, and have ‘given up’. To say that they have abandoned their fellow Tamils in the North and East is a gross understatement. I find this deeply disturbing and totally unacceptable. The very least I can do is to stand with my Tamil people, yes, they are my Tamil people, just as the Sinhalese are my Sinhalese people, in their greatest hour of need. Whether one succeeds or fails is not the question. The question is where one stands and why. I stand with my Tamil people because what has been done to them from the dawn of Independence (1948), and even before, is deeply wrong. This long and traumatic history of the Tamil struggle to survive, has been well set out in Dr Panchacharam’s book which I have referred to. The Nobel Laureate, Archbishop Desmond Tutu, when I met him inCape Town, remarked, “Isn’t it wonderful that a Sinhalese should be campaigning for the Tamils for all these years?” I said that I did not think it ‘wonderful’ because this was not a Tamil problem or a Sinhalese problem but a humanitarian problem that must arouse the concerns of every one who opposes the violation of basic human rights set out in the UN Human Rights Convention. This is what it means to share the world with others who, like us, are going to be on this planet for but a short time. The principle that has guided my actions all these years is “Do unto others as we would have them do unto us”. This simple truth transcends nations and peoples – that isn’t brown or black or white, that isn’t Christian, Buddhist, Hindu or Islam, that isn’t Sinhalese or Tamil. It is not new, but has beat in the hearts of billions of people since the dawn of civilization. The world is heading down a hugely dangerous path of injustice and a failure “to do unto others as they would have done unto themselves”. Sri Lanka has gone down an even more dangerous path of ethnic fratricide, genocide, the dismantling of Democracy and its replacement by a Totalitarian State, corruption, indeed, ‘mega-corruption’, lawlessness, interference with the legal process and even with the Constitution and written Laws, the abuse of fundamental human rights of its people by the State, gross economic mismanagement, abysmally poor governance, and a violent nation where all problems are ‘settled’ by the State by unleashing violence delivered by State ‘Security Forces’, the Police, gangs of hoodlums and paramilitary groups working with the Government, where there is no accountability of any sort. It is a drift of the country to a Failed State. It is often stated (wrongly) that there has been a ‘civil war’ inSri Lanka for three decades. There has been no ‘civil war’ in post-Independence Sri Lanka. 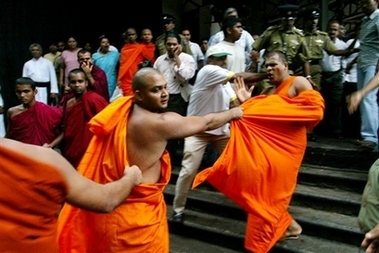 What there has been are a series of increasingly virulent pogroms against the Tamil people by a succession of Sinhalese–dominated governments, assisted by Sinhalese political opportunists from the entire Sinhalese polity, and ethnoreligious chauvinist bigots among the politically active Buddhist monks, and conducted by Sri Lankan Armed Forces (99%Sinhalese), with a degeneracy of Sinhalese society and its rapid descent to barbarism. This ‘descent to barbarism’ has now been documented in the UK Channel 4 video (see below). 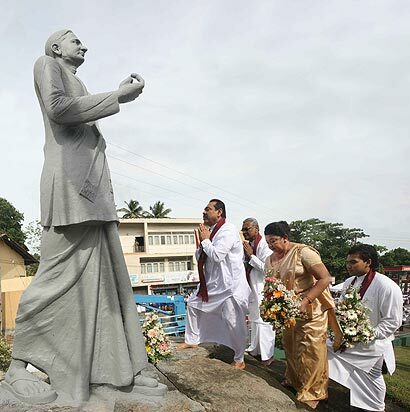 The entire objective is to force the Tamil people to accept Sri Lanka as a Sinhala- Buddhist Nation. The problems inSri Lankatoday, extend well beyond the ethnic crisis. This ‘spectrum of crises’, of which the problems faced by the Tamils is only a part, albeit a very important one since the survival of the entire Tamil Nation is at stake, cannot be dealt with in the time and space available here. All I can do is to highlight some of the recent (mostly) international publications by credible groups (all of which are in the public domain), and add a brief comment on the Agenda of the Sri Lankan regime, some serious problems in governance, and suggest a way forward. This ‘way forward’ is becoming increasingly difficult and could well have reached the point of no return, at least in the short, or even medium, term. Here are the most important documents to date (October 2011), most of them published this year. 1. Report of the Secretary-General’s Panel of Experts on Accountability in Sri Lanka. 31 March 2011. This is a 124 page detailed Report looking at the last stages of the ‘war’ (September 2008- May 2009). It is the most serious indictment of the Sri Lankan government ever published. It recommends that the Secretary General, “should immediately proceed to establish an independent international mechanism whose mandate should be to collect and safeguard for future use, information provided to it…”. For Secretary General Ban ki-Moon to claim that he has no power to implement the recommendations of his Panel of Experts is arrant nonsense. If he is powerless to act why did he appoint the Panel? The implication was that he was expecting a Report exonerating the GoSL of wrong-doing. We have a right to know what Mr Boon’s agenda is. If he cannot (or more likely, will not) act, then the Report must be submitted to the UN itself for action. If Mr Moon refuses to do so, then it is up to the member nations of the UN to demand that the Report be tabled. This is where the expatriate Tamils (and others) have a critical role to play – to pressure their Governments to get their UN representative to act. This must be done urgently so that the UN Human Rights Council at its next meeting (March 2012) can putSri Lankaon the Agenda. I am aware that the Head of this Council, Navaneetham Pillai, who has always stressed the need for an international independent Inquiry, has welcomed the Report. An important point is that the mandate of the Panel of Experts was to assess the ‘nature and scope of alleged violations’, not to do any fact-finding or investigations. In view of the seriousness of the findings in their Report, it is imperative that this Panel be now asked to do a fact-finding investigation. There is provision under R2P (Responsibility to Protect) – a set of principles which set out the responsibility of sovereign States – for the UN to act. 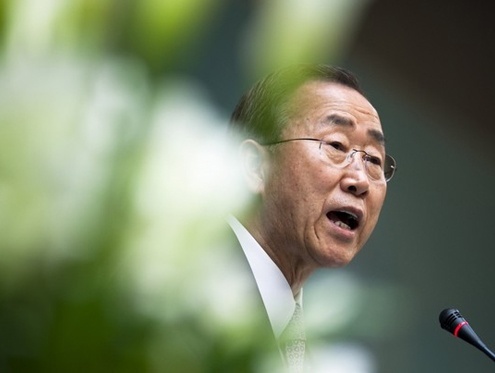 R2P was adopted by the UN General Assembly in October 2009, none other than Ban ki-Moon himself, playing a key role. If a State fails to protect its citizens, then R2P states that the international community, “as a last resort”, can intervene with military force. Sri Lanka, a signatory to R2P is certainly not protecting a significant number of its citizens (those in the North and East). Words must mean something, and if the words in R2P are to mean anything, then the international community must act. It is our business to exert the necessary pressure on our governments to see that the UN acts. This 29 page Report, is the most comprehensive document that sets out the current situation on the ground in the Tamil areas. It exposes what the GoSL is struggling to conceal by excluding international observers and human rights groups from the North and East. It is one of the most disturbing Reports I have ever read on the human rights situation inSri Lanka, and explodes the myth propagated by the Government that the Tamil people have been ‘liberated’ from the ‘clutches of terrorists’, and have now been ‘rehabilitated’. It is a Report that must be circulated to all the UN countries, in particular, those that support Sri Lanka, the ‘aid-givers’, and the Media, none of whom are able to have free and unaccompanied access to the Tamil areas, and to talk to the supposedly ‘rehabilitated’ people. 3. “Sri Lanka: Post-War Progress Report. This is an outstanding 9-page Report which challenges every claim that the GoSL has made. It states the many Government claims and then proceeds to demolish them by stating the real situation. It states, “There are strong grounds to question the government’s claim of progress on crucial post-war issues such as the state of emergency and repressive anti-terrorism laws, militarisation and insecurity, resettlement of internally displaced persons (IDP), reintegration of alleged ex-combatants and a political settlement on devolution and minority rights”. It alarmingly goes on, “the risk of an eventual return to violence is growing again”. This is a ‘must-read’ document by an internationally credible group. A 67 page Report by the Nobel Prize winning human rights group, sets out the “Failures of Sri Lanka’s Lessons Learnt and Reconciliation Commission (LLRC”). It makes nonsense of the claim that an Independent International Commission of Inquiry should be considered after the LLRC Report is published (probably November 2011). AI has already shown that the LLRC is deeply flawed so that its findings lack validity. It starts by drawing attention to Sri Lanka’s abysmal track record where Commissions (of Inquiry) are concerned. “….in the face of domestic and international pressure, including from such allies as India, the Sri Lankan government has still refused to make a credible effort to seek accountability. Instead, as it has done often in the past two decades, the Sri Lankan government has established an ad hoc special commission, ostensibly to investigate and address wrongdoings, but in fact to deflect international pressure and silence internal critics”. It goes on, “Amnesty International urges the international community not to be deceived that the LLRC – the latest of a long line of failed domestic mechanisms in Sri Lanka – will deliver justice, truth and reparations”. It calls for the UN to immediately establish an independent, international investigation and goes on to state why this is needed. 5. “Sri Lanka: Briefing to Committee Against Torture. This 31 page Report also by AI, covering the period 2010-2011, was submitted to the “Convention against Torture, other Cruel, Inhuman or Degrading Treatment or Punishment” in October 2011. It documents the ongoing torture by Sri Lankan Government bodies (Police, and paramilitary groups working with the Government), the fabrication of evidence by the Police, and the complete failure of the Judicial system to address these. Of greatest concern is the frequency of all this: “Perhaps the most shocking aspect of the criminal justice system is the overwhelmingly large number of charges which are fabricated by the police on a daily basis”. Far from being the exception, these now seem to be the norm. Of interest to those of us who live in countries where asylum seekers arrive, is the section that describes (with a case study) the risk of torture for failed asylum seekers. If a proper follow-up study of failed asylum seekers is done, the number who are in this category will rise markedly. It will, of course, not be possible to do such a study, because of the nature of the Totalitarian regime that runs the country. 6. UK Channel 4 News video. Despite feeble claims by the GoSL that the evidence presented was fabricated, there are few, if any, who would doubt the authenticity of what was shown since the original recordings have been checked by international experts. This is evidence which will not go away, as the GoSL hopes it will. I need hardly dwell on this ground-breaking video that has established the war crimes committed by both sides, especially the Sri Lankan Armed Forces, in the closing stages of the war. This video was so important that it was shown at a special screening in the UN Human Rights Council meeting in June 2011. Despite feeble claims by the GoSL that the evidence presented was fabricated, there are few, if any, who would doubt the authenticity of what was shown since the original recordings have been checked by international experts. This is evidence which will not go away, as the GoSL hopes it will. The evidence of war crimes implicates not only those in the Armed Forces that committed them, but on the internationally accepted ‘Command Responsibility’, those all the way to the top, be they military leaders or civilians (such as President Mahinda Rajapaksa, Commander-in-Chief of the Armed Forces, and his brother, Gotabaya Rajapaksa, the Secretary of Defence. The fact that some of these military men (and others with a case to answer) have been sent as Diplomats to several countries, might not immunise them from prosecution. It is up to us, especially those of us who live in countries where asylum seekers arrive, to get the necessary information and pass it to our governments for the necessary action, and to those of us who are exploring the possibility of taking those who have a case to answer to the International Criminal Court. There is one ‘problem’ with this outstanding video. The hundreds of thousands of people across the world who have seen this video and been shocked by what thy have seen, have no understanding of the context in which these dreadful acts have taken place. This ‘background information’ and a more extensive, though less dramatic, account has been recorded by me in a dvd, “Sri Lanka: Genocide, Crimes against Humanity, Violation of International Law”, which I am more than willing to send anyone who wants this information. This is one of nearly a dozen dvds I have recorded on the highly complex ethnic conflict in Sri Lanka and what a succession of Sinhalese-dominated governments have done to the Tamils since Independence in 1948. It was hoped that they will address the highly ‘successful’ disinformation campaign of the Sri Lankan government that tries to equate Tamils with Terrorists, and the tamil struggle for justice, as ‘nothing but terrorism’.. The Sri Lankan government, and the military, are clearly rattled by the recent deluge of Reports. I can think of no time in the long history of conflict in Sri Lanka, that there has ever been such a vast amount of information released by internationally credible organisations and bodies. This only report by a local body, the Report by the Tamil National Alliance in Sri Lanka, is the most powerful, because it gives first hand information obtained from those on the ground who are suffering these dreadful conditions to this very day. Run a Totalitarian State under the Rajapaksa family- 4 brothers and upward of 50 family members- for the foreseeable future, manipulating the Constitution as necessary. The international and local groups have done what they could, and have done so with commendable thoroughness in very difficult circumstances since the GoSL has done whatever it could to block their work. It is now up to us to use these Reports and the invaluable evidence they contain, to take the matter further and bring to an end the suffering of the Tamil and Muslim people in the North and East. It is now our responsibility and obligation. I will now set out the Agenda of the Sri Lankan government as I see it. n the time (space) available, I can do no more than list these out. A detailed discussion of them will be published later. Make them ‘disappear’. Sri Lanka had the 2nd highest rate of involuntary ‘disappearances, only second toIraq. Most of them are Tamil males. The recent AI papers cited earlier, indicate that this is continuing. Make them ‘non-people’. The Report tabled in the Sri Lankan Parliament on 21.10.2011 confirms that this is happening. Kill them – Genocide. The UN SG’s Advisory Panel confirms that it is an ‘extermination’ of the Tamils. The dreadful mass killing from December 2005 – May 2009, has now been replaced by a ‘slow death’ from starvation and the lack of medical care. The inevitable conclusion is that if multiethnic, multilingual, multireligious, multicultural Sri Lanka has decided to be a Sinhala-Buddhist Nation, there is no alternative to a separate Tamil State, Eelam, if only for the survival of the Tamil people. Eelam is not the creation of the Tamil people, but the result of discrimination and of exclusion of the Tamils committed by a succession of Sinhalese ‘leaders’ since Independence (1948), and certainly post-1956 when highly discriminatory anti-Tamil measures were taken. This was ratcheted up after the election of President Rajapaksa (November 2005). The murderous actions of the politico-military junta he has headed, is more responsible than any preceding Sinhala ‘government’ to make Eelam mandatory. The Sri Lankan government has two options – either to be in a state of permanent hostility with the Tamils or to establish a separate Tamil State. 2. ‘Sinhalise’ the Tamil areas by the mass relocation of Sinhalese from the South. This is well under way as numerous observers have reported and has been confirmed in the Paper tabled in the Sri Lankan Parliament which I have referred to. 4. Take over all commercially viable areas and economic activity in the Tamil areas, sell them toChina,India and others, get the Armed Forces to run all economic ventures, and get Sinhalese workers from the South and exclude the local Tamil people. 5. Make the Tamil people in the North and East into permanent refugees. 6. Keep the Tamils under permanent military control so that they can be used and abused at will by the Armed Forces and the paramilitary hoodlums. Today, theJaffnaPeninsula is a Police State, and the North and East is a vast military ‘camp’. This is why international observers are not allowed into the area without a military man with a note-book and a gun. 7. Make the Tamil areas ‘out of bounds’ to all human rights groups eg Amnesty International, Human Rights Watch, International Crisis Group and the Media. There are clearly things that ‘must not be seen’, and people who should not be allowed to ‘tell their story’. 8. Put the development of Colombo (and elsewhere), not under the appropriate Development authority but under the Ministry of Defence – which has recently been renamed, ‘The Ministry of Defence and Urban Development’. When did development become a defence matter? President Rajapaksa’s brother, Gotabaya, who in addition to being Secretary of Defence (and now of Urban Development too) is the unelected de facto President of Sri Lanka with veto-powers over all Government decisions. 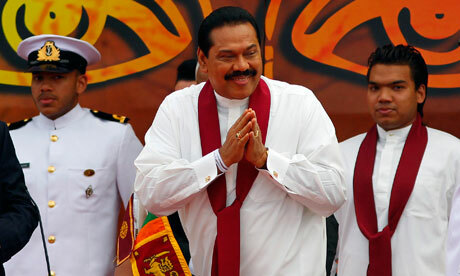 ‘President’ Mahinda Rajapaksa is only the figurehead, effectively under his brother, in all matters. A good example of this is the devolution of power to the Tamil areas. Under international pressure, President Rajapaksa and senior government officials have frequently expressed their willingness to develop a “devolution package, building upon the 13th Amendment to the Constitution”. ‘Not so’ says Gotabaya Rajapaksa, “The existing Constitution is more than enough for is to live together….I don’t think there is any requirement……Devolution wise I think we have done enough, i don’t think there is any necessity to go beyond that”. No devolution package has surfaced despite ten rounds of talks with the Tamil National Alliance, the elected representatives of the Tamil people. 9. Run a Totalitarian State under the Rajapaksa family (4 brothers and upward of 50 family members) for the foreseeable future, manipulating the Constitution as necessary. After the ‘end’ of the war, and now a call to increase this to 300,000). If the Tamil Tigers have been crushed (which they have been), who is the enemy? 11. Internationally, to play China, aginst India, against USA for a foothold inSri Lanka for the control of the economically crucial Indian Ocean, for whichSri Lanka is ideally located. There is a crisis in governance and a dismantling of democracy. 1.Rampant corruption to the highest level. 4.Underworld characters, hoodlums and thugs have become part of governance. Some are in President Rajapaksa’s Cabinet. 5.Police, and Armed Forces can do as they like with absolute impunity. 6.There is no ‘Separation of Powers’ which is an essential requirement in any democracy. Parliament, the Legal system and the Executive are all controlled by one family, the Rajapaksas. A ‘democracy’ has been replaced by an ‘autocracy’. 7.To disagree or even question what the Government ie the Rajapaksa’s are doing, is treason – and is dealt with as such, by assault imprisonment and murder. 9.The Media are muzzled, threatened, imprisoned, murdered or silenced by censorship or self censorship (for survival). 10.The “Prevention of Terrorism Act (PTA)’ supersedes all written Laws and even the Constitution. If the Tamil ‘terrorists’ have been crushed, why have a PTA? 11. Opposition MPs are threatened, bought or murdered by the Government. 12. All problems, political and non-political are ‘settled’ by State violence. These are indisputable signs of a fascist Dictatorship, or blacker still, aTotalitarianState. This is so well entrenched that it might not be reversible. addressed, there must be a determined effort to wipe out those who obstruct this. InSri Lankathis is the virulently anti-Tamil sections of the Buddhist clergy, and the political opportunists in the Sinhala polity. Since none of these are present or likely to occur, national reconciliation is not possible. It is as simple as that. The pretence of national reconciliation is nothing but a myth propagated by the GoSL with the sole intention of obtaining international support to keep a totalitarian regime in power. The GoSL claims that the Tamil Tigers were the problem. The reality is that they were not the problem but the result of the problem. The ‘problem’ was, and still is, Sinhala-Buddhist chauvinism, and Sinhala political opportunism to get the votes of the majority Sinhalese (74% of the population) to get into or remain in power. It is this, more than any other factor that has prevented the building of a nation. Not surprisingly it is now falling apart. Whatever the Tamil Tigers have done or not done, one thing is beyond question. They stood between a succession of murderous Sinhalese governments and the Tamil people. With their elimination, the Tamil civilian population has been at the mercy of a brutal, undisciplined, Sinhala Army, that is running amok, doing what it pleases with no questions asked, and certainly with no accountability. The Sinhala government’s claim that the “entire problem in Sri Lanka is (Tamil) terrorism”, and that once the ‘terrorists’ are “wiped out”, the land will be flowing with milk and honey, has not happened. Indeed the opposite. The Tamil people are being brutalised as never before, an Army of Occupation is running the Tamil areas (and behaving as such), and the country, far from flowing with milk and honey, is spiralling down into chaos. The Sinhalese are learning that the guns which mowed down the Tamils will next be turned on them, as Totalitarian regimes have done for centuries the world over. 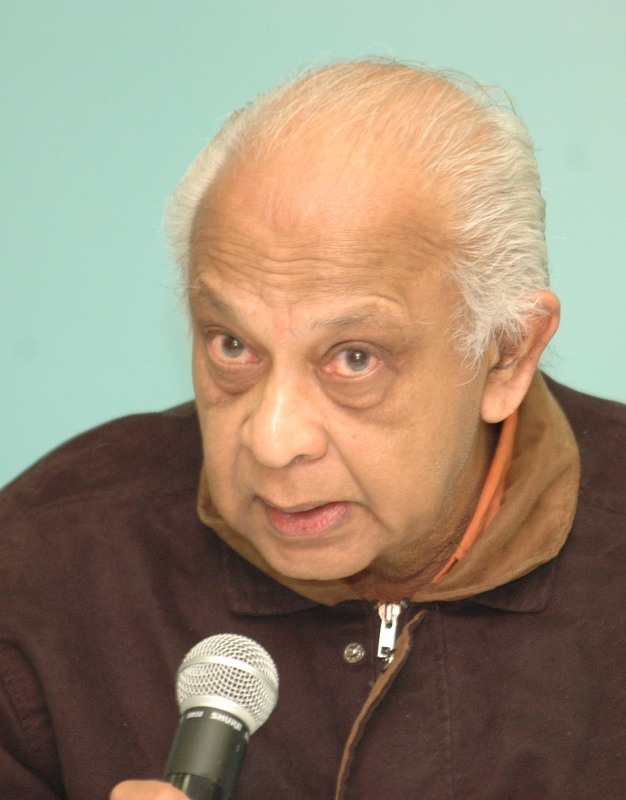 Thus far the ruling Sinhala regime has managed to get away with it, because they have capitalised on the age-old prejudice against the Tamils based on the “Mahavamsa mind-set” – that the Tamils are marauders, villains, and ‘invaders’, and the Sinhalese are there to ‘defend the country, and the religion (Buddhism) from a ‘foreign foe’ – the Tamils. It is this “Mahavamsa-mindset’ that has to change if there is ever going to be Peace with Justice in Sri Lanka. The Sinhalese have yet to realise that crushing the Tamils is not an answer to Sri Lanka’s problems. The Chinese, Indians, and Western Nations came to the aid of the Sinhalese government to crush the Tamils, and are now demanding a share of the ‘spoils of war’. This is why large areas of the Tamil homeland are being given toChinaandIndia, and now, large areas of the Sinhalese South are going the same way. The Sinhalese have not yet realised that for Peace and Prosperity, there must be a strong vibrant Sinhala South and a strong vibrant Tamil North and East. Ethnoreligious chauvinism and a Fascist Dictatorship or a Totalitarian State will not deliver these. These are messages that must be delivered to the Sinhalese people. This is easier said than done given the murderous regime running the country. All is not lost, since there are Sinhalese of enormous courage, three of whom contested President Rajapaksa for the Presidency, who are putting their lives on the line to challenge the tyrant, as the people in the Middle East have done. The expatriate Tamil community, more than a million strong, are the most powerful ‘weapon’ that the Tamils in the Sri Lanka North and East have today. There is not the slightest doubt that President Rajapaksa fears them more than he fears any other body or group, in or outside, Sri Lanka. The expatriate Tamil community, more than a million strong, are the most powerful ‘weapon’ that the Tamils in the Sri Lanka North and East have today. The power of the expatriate Tamils was seen in December 2010, when President Rajapaksa was scheduled to address a meeting in the Oxford University Union. 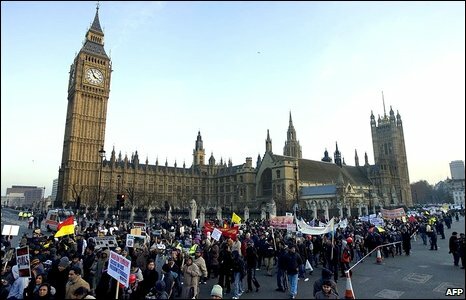 The magnitude of the protests was such that the invitation to Rajapaksa was withdrawn by the Union, and he had to beat a hasty exit from Britain before a member of his entourage was served with a charge-sheet on war crimes. Rajapaksa himself, left in a hurry, which he was well advised to do. The greatest problem with the expatriate Tamils is their infighting. They most certainly lack leadership. A totally committed expatriate Tamil friend of mine put this better than I can. He said, “The Tamil boat is sailing with no captain”. To this I would add, “and without a rudder too”. If the expatriate Tamils can sink their petty differences and unite, President Rajapaksa will have a problem on his hands. Having dealt with them for four decades, i do not think that this is likely to happen. It is time that the expatriate Tamils addressed this critical problem if their fellow Tamils in Sri Lanka are to survive. They can play a major role in obtaining the crucial evidence now available from Tamil asylum seekers and refugees who were there in the North and East where some of the worst atrocities and crimes against humanity were committed. This is critical evidence that is so important to take the culprits to the International Criminal Court. While it is compassionate and necessary to focus on specific problems such as asylum seekers and refugees, it must be realised that the central issue that is the cause of all this is the Rajapaksa junta in Sri Lanka. It is easy to lose sight of this central issue and focus on the result of it. People-smugglers are not the problem. They exist because there is a ‘need’ for them. The ‘need’ is to escape the barbaric Sri Lankan regime in general, the Armed Forces in particular. At the height of a recent asylum seeker problem in Australia, i published a booklet, “Sri Lankan Asylum Seekers. Australia’s Disgrace” The then Prime Minister, Kevin Rudd, flew to Indonesia to persuade the Indonesian President to stop the refugees from coming to Australia. I addressed the Prime Minister, “Mr Rudd, the problem is not in Jakarta, it is in Colombo”. I went on to draw the attention of Mr Rudd, who boasts about his Christian beliefs, that, “It is a most un-Christlike Christian who disregards the “When I was homeless you took me in” provision, when people in need of a home have a brown skin”. Not long after, Mr Rudd lost his own home in the Prime Minister’s Lodge in Canberra! The rich - the Rajapaksa brothers and their supporters - are getting richer and moving upwards to the ‘super-rich’ by stealing from the country. taxation, foreign and local borrowing and social welfare cuts, imposing an even greater burden on working people and the poor. Sri Lanka’s public debt has topped Rs 5 trillion, an increase of Rs 555 billion in just one year. The newly named ‘Ministry of Defence and Urban Development’ (under Gotabaya Rajapaksa, one of the President’s brothers) has been allocated an astronomical Rs 230 billion. Contrast this with the Education Ministry, a mere Rs 33 billion, and Health, Rs 77 billion. The Ministry of Reconstruction has been allocated less than a billion (Rs 481 million to be exact), less than every other Ministry, even though most Tamils in the North and East lack basic facilities. Almost half of the massive military budget of Rs 230 billion, will be spent on the 200,000 strong Army, one of the largest per capita in any country in the world. This massive ‘Defence’ spending, indicates that the Government is preparing for a violent confrontation with working people. Debt repayment will consume Rs 914 billion in 2012. Military spending and debt repayment will account for more than 50% of the total budgetary expenditure. As the economy starts to collapse, and the IMF ‘austerity measures’ start to exact their inevitable toll from those at the bottom of the ladder, a rising of the Sinhalese, a Sri Lankan ‘Spring’, similar to the Middle East ‘Spring’, might not too far away. An essential requirement for this to happen and for the ruling junta to be thrown out, is to block foreign aid from propping up a corrupt, despotic, and violent regime. To isolateSri Lankaas was done to Apartheid SouthAfrica, is overdue. The rich (the Rajapaksa brothers and their supporters) are getting richer and moving upwards to the ‘super-rich’ by stealing from the country. The poor, irrespective of ethnicity, are getting poorer by the day, and barely able to survive. While the elite journey to an imaginary destination somewhere near the top of the world, the dispossessed are spiralling down to frustration, crime and chaos. This is the perfect breeding ground for a revolt. The Rajapaksa junta has developed the perfect pincer action. While one arm is busy selling offSri Lankain chunks, the other, to divert attention, is orchestrating a baying chorus of Sinhala-Buddhist chauvinism and fanaticism. It is rewriting history books to ‘prove’ that a Tamil kingdom never existed, and that Buddha ‘gave’Sri Lankato the Sinhalese-Buddhists. It is destroyingChristianChurchesand Hindu shrines, and replacing them with statues of Buddha. Censorship, surveillance, the suspension of civil liberties, and defining who is a ‘patriot’ and who is not, who is a ‘terrorist’ and who is not. The establishment of aTotalitarianStateis not subtle, it is blatant and open. No Totalitarian regime in history has lasted for ever. The Rajapaksa regime is no exception. The end will come, it must. The question is whether it will come before terrible damage is done toSri Lankaas a whole, the Tamil people in particular. The events in theMiddle Easthave shown what can be done to tyrants and dictators. Sri Lankans, in particular the Sinhalese, must look at this carefully and ask whether it is not time for change inSri Lanka. I do believe that a better and a more justSri Lankais possible. Those of us who are outsideSri Lankacannot deliver the change that is sorely needed. This must come from those within the country. We can only do so much to help. That said, what we can do are things that those who live under a tyrannical rule cannot do. Let me summarise what we can do:- 1.Isolate the Sri Lankan regime as was done to Apartheid SouthAfrica. 2.Impose an effective boycott of goods, services and people going in and coming out of that country (as was done with apartheid South Africa). 3.Bring the criminals in the Government, the Armed Forces, and the LTTE (including those who have left that group and are now with the Government) to the International Criminal Court and charge them with war crimes, and crimes against humanity. This must include Sri Lankan ‘diplomats’ – essentially war-criminals, sent by the GoSL as ‘Ambassadors’ to several countries as a reward for the mass murder of Tamils. 4.Block foreign aid toSri Lanka. As I have set out, Sri Lanka is already in a deep financial crisis. This is the soft under-belly of the monster that is the Rajapaksa regime. It is only foreign aid that will prop up this monstrous regime. That is what we have to target. 5.Get foreign members of parliament and the Media to visit Sri Lanka and insist on going to the North and East without a government ‘custodian’. 6.GetIndia(Delhi) onside. This can only be done through Tamilnadu. A ‘solution’ to the ‘Tamil problem’ is not possible unless supported byIndia. That is political reality. 7.Lobby the Sinhalese South. There has got to be a ‘regime change’ inSri Lanka. This the Tamils cannot deliver. It can only be done by the Sinhalese and the Plantation Tamils. The aim has to be to grindSri Lankato a halt and make it ungovernable until there is Justice for all. 8.To counter the disinformation campaign of the GoSL by circulating the compelling evidence that I have referred to earlier published by internationally credible organisations and groups. If these are not done, the Tamil people will be a ‘dying ethnic group’ inSri Lanka, and the country as a whole will drift into a bankruptFailedStateunder despotic rule. These are not opinions to be debated, but facts to be faced and acted on. As Edmund Burke the Irish politician and philosopher said some 300 years ago, “All that is necessary for the triumph of evil is that good men do nothing”. UK Parliament After Sri Lanka's Human Rights: Voice For An I.I.I.